Tesla Group (PTY) Ltd. Distributors of Automation Products. of button configurations, with each button capable of local or site-wide control functions. 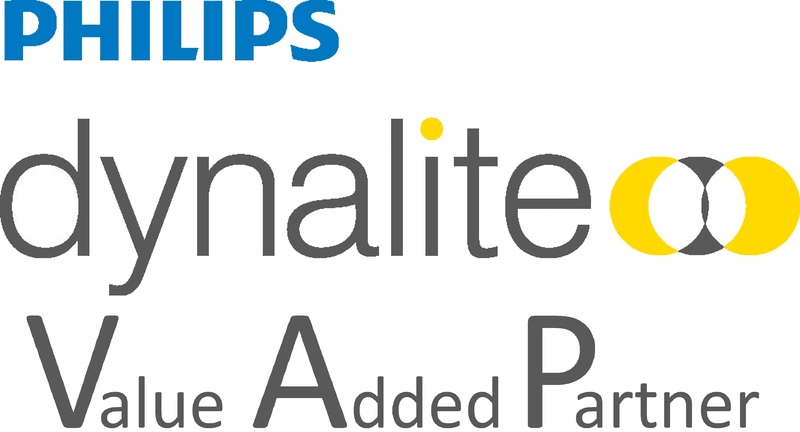 Furthermore, the PATPE range is suitable for, but not limited to, European, Middle Eastern, African and Asian markets. 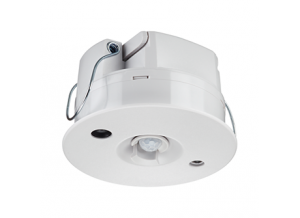 The DUS360CR is a recess mountable 360 degree multifunction sensor. It combines motion detection (PIR), Infrared remote control reception (IR) as well as ambient light level detection (PE) for applications such as offices, lecture theaters and homes. 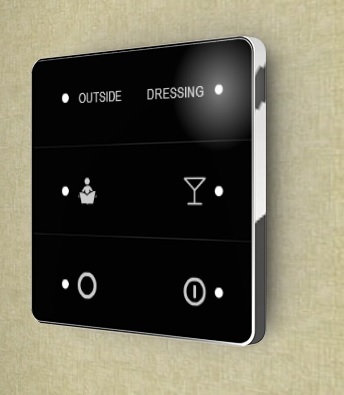 The sensor can detect motion and switch on lights. When rooms are unoccupied, lights can be automatically dimmed or switched off to provide energy savings. IR control reception (RC5) is also available to enable full remote control over lights, blinds and other equipment. A range of hand held infra-red transmitters to complement DUS360 series universal sensors are becoming available. The DUS360-CR can also be placed in an automatic “Daylight Harvesting” mode for energy savings, where constant light levels can be maintained. In situations where it is critical to maintain precise lighting control for individual workspaces, such as office workstations or critical intesity areas such as air traffic control centres, the DUS360-CR facilitates light compensation. The DDRC-GRMS is a compact hotel room energy management system. 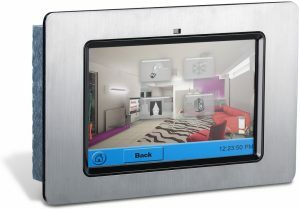 It is purpose built for hotel room control solutions. *Dry contact inputs — The unit receives instructions from voltage-free button presses or a key card switch within the guest room. *Pre-programmed — No programming required! The unit is supplied with complex functions such as ‘master on/off’, ‘room unoccupied’, ‘do not disturb’ or ‘make up room’ already configured. *Built-in motor directional relays — Provides control of motorized blinds for a full automation solution. 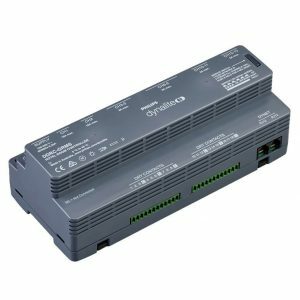 *Two 16 A power relays — Enable a total energy management solution, reducing standby power consumption by powering GPOs and air conditioning systems only when required. *Single box solution — Provides an economical total energy management solution for hotel guest rooms and suites.